Getting bits of tobacco or hot ember in your mouth during smoking is quite unpleasant. Pipe screens certainly provide an effective way to avoid the problem. Some smokers swear by them. They come in especiall handy when breaking in a new pipe or when smoking native, American tobacco blends. Pipe screens are small mesh circles of brass or stainless steel. They can be placed at the bottom of pipe to prevent tobacco from escaping the bowl into the shank/stem. 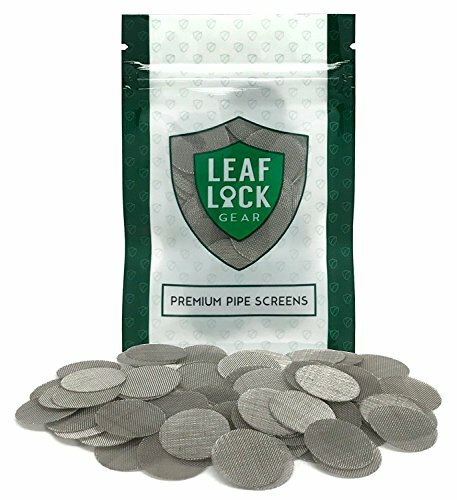 Stainless Steel Screen 0.812 13/16"
If you have any questions about this product by Leaf Lock Gear, contact us by completing and submitting the form below. If you are looking for a specif part number, please include it with your message.